Intracom Telecom has designed and developed the UltraLink™-BX70 E-Band radio to fully meet the particular needs of the broadband access market segment for a radio system with performance comparable to optical fiber, at a price point suitable for the access connectivity business model. 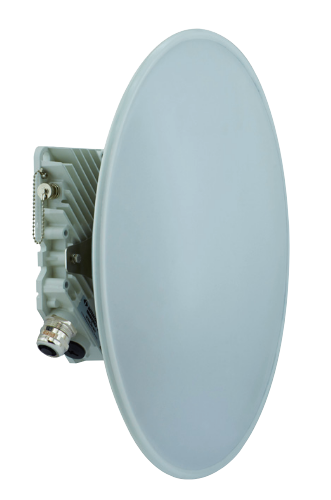 UltraLink™-BX70, an ultra-compact, all-outdoor Ethernet radio operating in the 71-76 GHz part of the E-Band spectrum, is ideally suited for use in cost-sensitive, high-capacity applications. 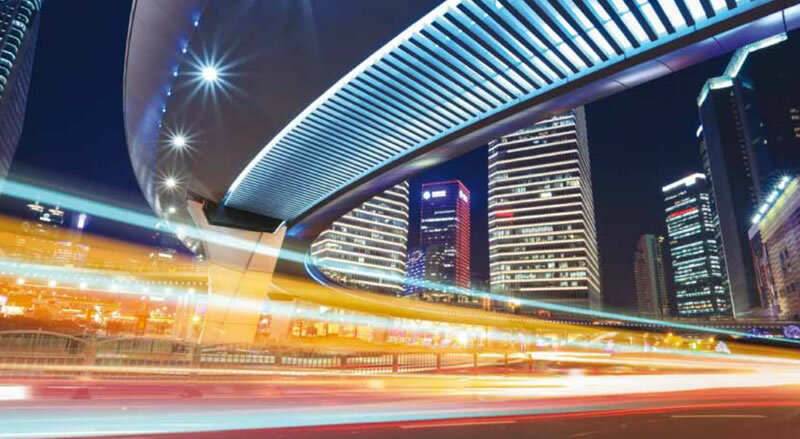 Operating in TDD mode, UltraLink™-BX70 can offer flexibility and efficiency in the delivery of services with asymmetric traffic profiles, such as broadband access or camera backhaul services. It achieves throughputs of up to 1.6 Gbit/s aggregate, while offering a complete set of Carrier Ethernet networking features to deliver standardized SLA-enabling services. UltraLink™-BX70 is designed to be easily mounted on poles and lamp posts (up to 300 mm in diameter), to enable convenience and speed of installation in traditional telco, as well as, street-level environments. UltraLink™-BX70 perfectly meets the demands of applications such as: last-mile delivery of wireless Gigabit To The Home / Building / Premises (GTTH/B/P) services, Gigabit connectivity services to SMEs and larger enterprises, connectivity for government / public service buildings, utilities & industrial complexes, university campus building interconnection, security camera and Wi-Fi access point backhaul. Ideal for cost-sensitive wireless GTTH and enterprise connectivity services. Enables fast and flexible network deployment and services activation. Implements complex Ethernet distribution network topologies without external switch equipment. Maximizes spectral efficiency for asymmetric traffic broadband access and camera backhaul networks. UltraLink™-BX70's 1.6Gbit/s aggregate L1 Ethernet capacity is achieved by combining an industry-high spectral efficiency (using 256-QAM modulation) with bandwidth optimization in a 250MHz-wide channel. High spectral efficiency enables the use of narrower channels, which incur reduced license fees in countries where fees are applicable. Operation in narrower channels also increases the overall number of available channel options in a band, which allows for denser link deployments through the reduction of frequency reuse and facilitation of RF planning for interference minimization. Operating in TDD mode, UltraLink™-BX70 can, time-wise, allocate the use of the spectral resources in a way that it optimally matches the downlink/uplink traffic profile. This improves the link spectral efficiency, with respect to FDD systems, for the delivery of services with asymmetric traffic profiles. UltraLink™-BX70's 7-level Hitless Adaptive Modulation and Coding can provide seamless system gain & capacity trade-off to enable highest capacity/spectral efficiency for most of the time and continuous link operation under adverse propagation conditions. The UltraLink™-BX70 radio unit features two Gigabit Ethernet ports and an embedded Carrier Ethernet Bridge, which allows deployment in complex network topologies such as, branched access distribution networks and protected ring topologies with add-drop functionality, without requiring additional switching equipment. When the delivery of business-critical services requires high availability, UltraLink™-BX70 can be deployed in ring configurations with fast protection, using the ITU-T G.8032v2 ERP standard protocol. Support of Service OAM, based on the IEEE 802.1ag and ITU-T G.8013/Y.1731 standards, and Link OAM, based on IEEE 802.3ah standard, means that UltraLink™-BX70 is capable of offering Carrier-grade Ethernet OAM features, enabling operators to provide manageable L2 end-to-end services to their customers. UltraLink™-BX70 offers per-service QoS treatment of the transported traffic based on L1, L2 and L3 classifiers. Strict priority (SP), Weighted Round Robin (WRR), Weighted Fair Queuing (WFQ) or Hybrid SP+WRR/WFQ scheduling schemes are cleverly applied to eight CoS / queues to enable the most suitable prioritization treatment for critical management, control plane or time sensitive traffic, while supporting revenue-generating service differentiation for user plane. Colour-aware WRED is applied as a means to gracefully manage potential queue congestion. Furthermore, policing and shaping are applied to the incoming/outgoing service flows allowing the definition and conformance of services to the desired profiles. UltraLink™-BX70 is a lightweight, zero-footprint, all-outdoor system that offers deployment flexibility and ease for deployment on towers, rooftops as well as street-level environments. With its small form-factor ODUs (200 x 200 x 30 mm) and specially-designed mounting bracket, the UltraLink™-BX70 radios can easily be deployed on poles and even lamp posts with diameters of up to 300 mm. Configuration options with low-cost Class 2, 30 cm direct mount antennas, as well as, high-performance Class 3, 30 cm or 60 cm parabolic antennas, are available to cater for any deployment scenario.